Before you begin to talk about giving up custody, it is important to understand the two types of custody: physical and legal. Physical custody refers to which parent the children live with. One parent can have sole physical custody or the parents can share custody, and move the children between two houses. Legal custody refers to the authority to make important decisions for the children such as which schools they attend. One parent or both parents can have legal custody. 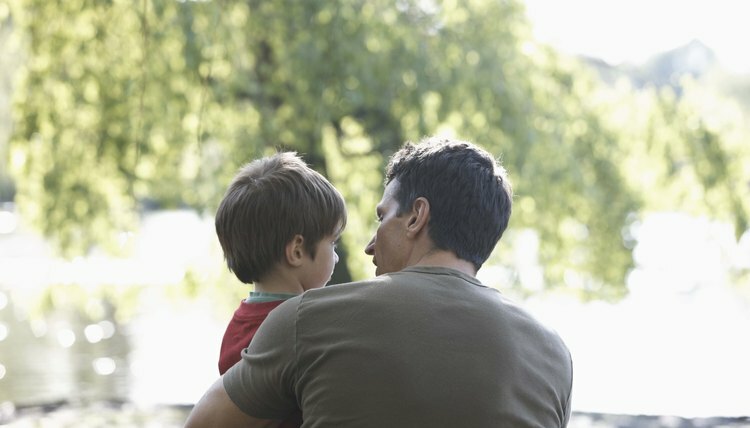 When a parent talks about waiving custody, he usually means physical custody. Circumstances may prevent a parent from having or sharing physical custody, such as when one parent is in the military and deployed in a war zone. If you decide that you cannot have your children living with you, you can waive physical custody, as part of a divorce agreement with your spouse. Alternatively, you can complete your dissolution forms to indicate that you do not seek custody nor oppose your spouse's request for sole physical custody. Expect the court to order you to pay child support, however, to assist your spouse in financing the children's needs. Divorce is a parting of the ways between spouses. Unfortunately, it also often represents a rupture of the relationship between the children and the parent who does not have custody. However, a noncustodial parent can maintain regular contact with his kids through visitation or parenting time. If you are waiving physical custody in a settlement agreement, negotiate a visitation schedule with your spouse and make it part of your parenting plan. If you waive custody in your court filing, be sure to ask the court for reasonable visitation. If your spouse opposes the visitation you are seeking, divorce mediation can be helpful. You are not obliged to waive legal custody just because it is impractical for the children to live with you. Requesting joint legal custody means that you will have a say in every important decision made for your kids, including choices about their education and medical treatment. If, for some reason you also decide to waive legal custody, you can do so in a settlement agreement or in a court filing.